The Staub Cast Iron Artichoke Cocotte is the ideal size for cooking hearty stews, roasts, soups, casseroles and other one-pot classics. The incredible heat retention and even heat diffusion gives your food consistent texture and taste in every bite. 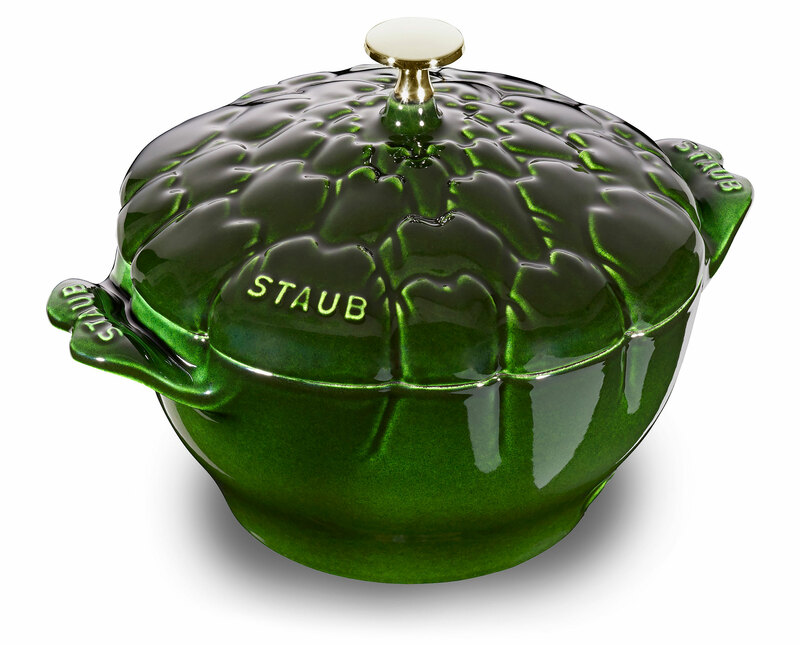 Staub specialty cocottes have uniquely designed lids that transform traditional cocottes into delightful centerpieces. Inspired by the Tomato and Pumpkin Cocotte, this Artichoke Cocotte features another farmer's market favorite, this time in gorgeous basil. 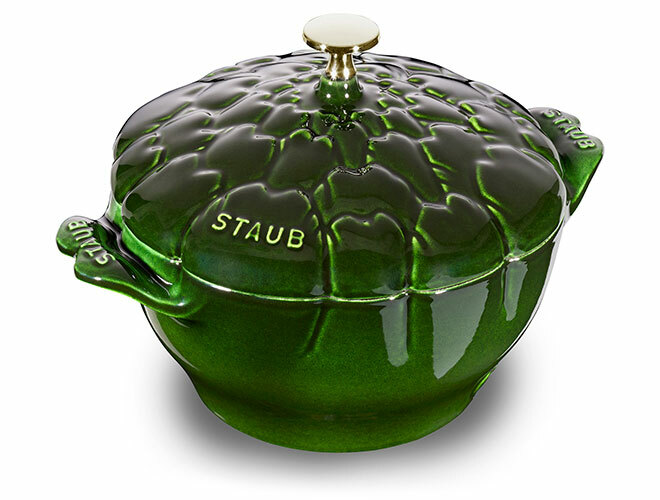 Each Staub specialty shape effortlessly and elegantly transition from the oven to the table, you can cook and serve in the same dish. 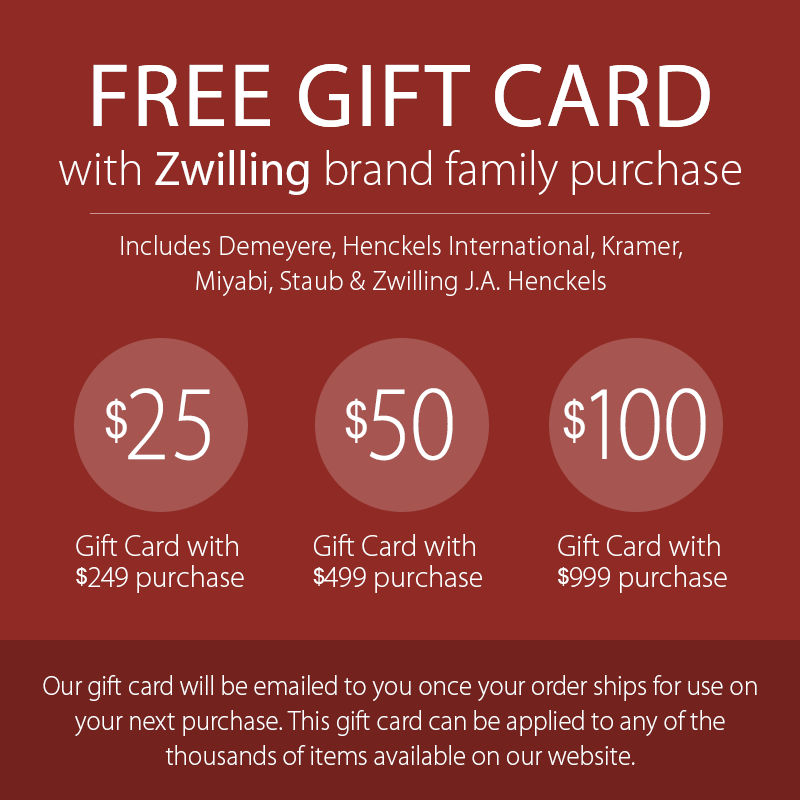 As is tradition in French families, these heirloom pieces can be lovingly passed from generation to generation. 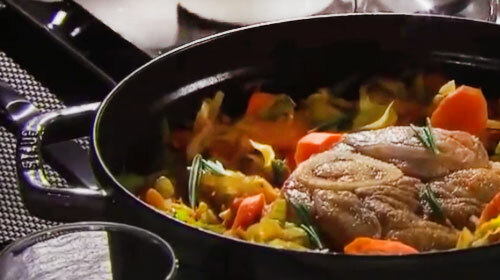 Rooted in French culinary heritage, Staub cookware is beloved by professional and home chefs for its exquisite craftsmanship, exceptional performance, and timeless beauty.